It was a foregone conclusion, but Viz Media officially announced they will distribute the manga and home media releases of the 21st Pokémon movie, Pokémon: The Power of Us (or Everyone’s Story in Japan) in the US and Canada. While the 21st movie in the long-running series is currently available to purchase digitally, the Blu-Ray and DVDs will launch at a later, unspecified date. Kemon Kawamoto’s manga adaptation of the movie, Pokémon: The Power of Us —Zeraora , completed its two volume run in Japan back in July, and will release in North America in a complete single-volume collection. 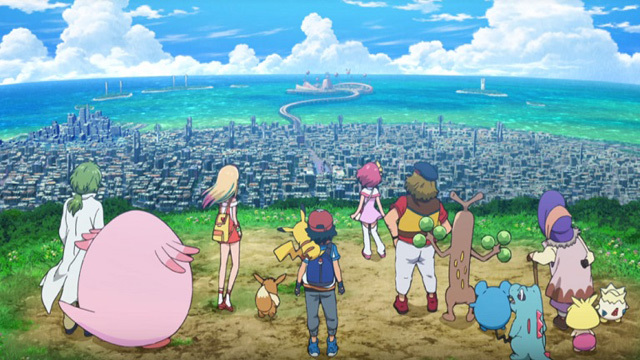 “…the story of Ash and Pikachu as they journey to a small seaside town filled with a diverse set of characters, including a young athlete, a compulsive liar, a shy researcher, a bitter old woman, and a little girl with a big secret. Viz Media has been the chief distributor of all manga and home video things Pokémon since 1998, when the franchise first arrived in North America. No release windows have been announced for the home video and manga releases of The Power of Us.